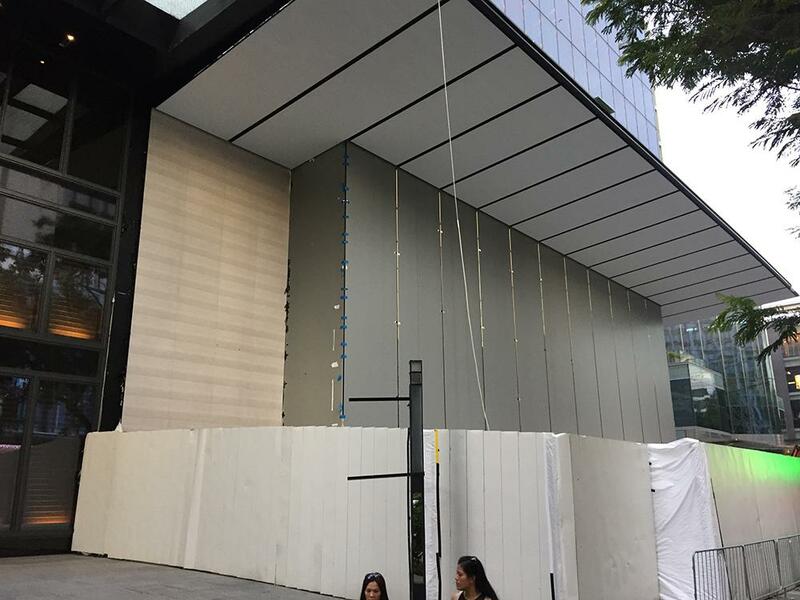 Apple is planning to launch its first outlet in Singapore in 2016, at the Knightsbridge luxury retail complex on Orchard Road, a report revealed on Monday. A Pure Fitness will be closing on Dec. 15 to help make way, according to a pair of emails from the gym's management sent to customers, seen by The Straits Times. Some other Knightsbridge tenants will also be handing back space to the landlord, the gym noted. 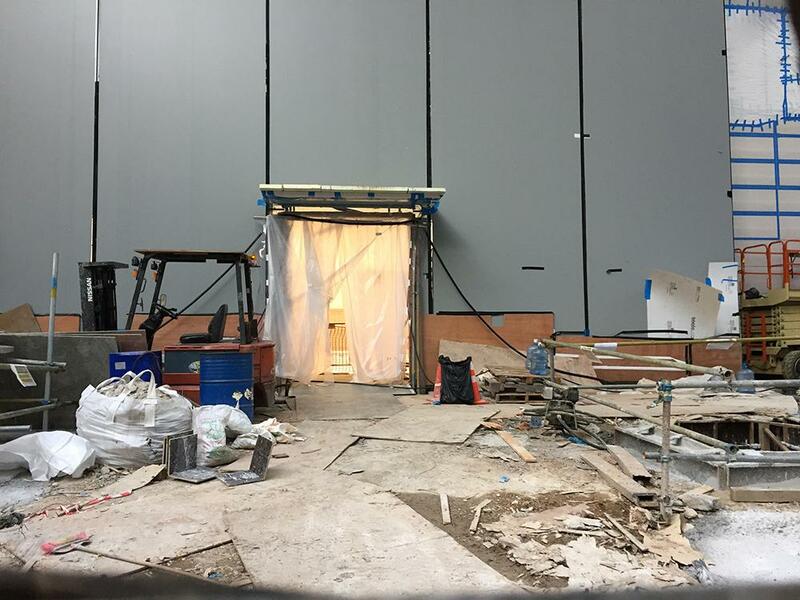 "We understand that this is short notice but we have only recently been informed of the handover date on this site," one of the emails said. 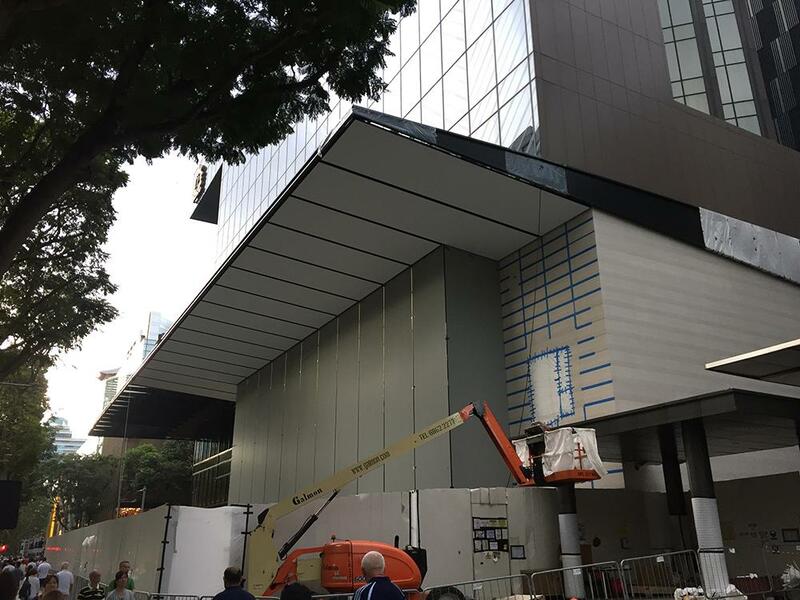 It's not clear why Apple is only now getting around to building an Apple Store in Singapore, which is a wealthy market in spite of its small size. Indeed it was one of the first launch regions for the iPhone 6s and 6s Plus, joining places like the U.S. and just two other Asian markets -- Hong Kong and Japan. Real estate comes at a premium in Singapore however, and Apple is notoriously selective about the locations for its stores. In some cases the company will wait years for an ideal space to open. Because they were chased out of singapore and steve jobs was probably still salty. It is not something many people remember and you will probably find no written accounts of this. Beside, the local franchisee of apple has been doing a fantastic job, there was no pressing need for apple to personally handle the local market. This must be something Apple thought they could do because they had some spare change lying around. Also, while i don't mind an official store, i much rather they bring to singapore stuff like beats1, Apple pay, etc. Actually not particularly hopeful with regards to apple pay reaching singapore. I would disagree on being worst possible location as the location itself is rather good spot where some of the prestiges brands are nearby. The architecture of the building may not be. But that is a good thing in the eyes of Apple. It sure opens up room to slash lease cost down, remodel it (not as if Apple is going to just use the space as is) and allow Apple to do what they are best at - "leave the world better than we found it" (Tim Cook). I disagree. Customer services by the authorized resellers are expensive, and they don't carry new SKUs early enough (to reduce risk). They have to make enough money to pay for expensive retail space rent in Singapore. e.g., Instead of recommending my friend a cheaper option (Just buy a new Mac), a reseller quoted him almost double the price for replacing all the parts in an older Mac. The various classes, and Genius Bar in the real Apple Store will also be helpful for the non-tech savvy. The resellers can focus on enterprises since the IT department should be more savvy, and will reject any silly attempt to take advantage of them flat out. Could you expand on that? What happen with Apple and Singapore? Btw is iPhone popular in Singapore? I had the same experience and was told the same thing, and also to just buy a new device because it will come with full warranty instead of the few months waranty that comes with repaired parts. Maybe your friend just met with a bad employee. Also things are better now, previously iPhones were serviced by singtel only at comcenter. Now it is actually by the apple franchisee! That in it self cut the queue time for iphone service by a few days! I joke of course, it was more like half a day's wait at singtel. They were losing to ibm, someone said they had no future, ought to leave singapore, and they did. This is way before my time so i dont know the details. This I hear from industry people from back then. Certain kinds of news are not given much exposure. Whoa finally coming to Red Dot's shore....long in the tooth but better late than never. That incident happened just late last week. Resellers will never be as diligent as Apple in upkeeping their brand. But with an Apple Store in the country, the resellers will have to compete better in cost and service quality. With eyes and feet on the ground, Apple will also be able to react faster to the environment, and be proactive about initiating new programs. I think my friends in Singapore will enjoy the classes in the Store if Apple offers them. Customer service should be miles better than the current online and phone support in Singapore too. Apple stayed in Singapore for a long time. They had an R&D center there too, doing language R&D among other things. They pulled out when Apple US was failing years after kicking out Jobs. So Steve Jobs won't feel salty over that retreat because he was long gone. In fact, he went back to Singapore again later to launch NeXT. You should be able to find a YouTube video on Jobs launching NeXT in Singapore, playing a Singaporean music video on his cube computer. as for apple's presence, you could be right, or maybe Steve Jobs just wanted to face criticism with success, who knows! Photographed yesterday, Sunday Feb. 26, 2017. They've got a ways to go, but it looks like they're at it in earnest, at least. 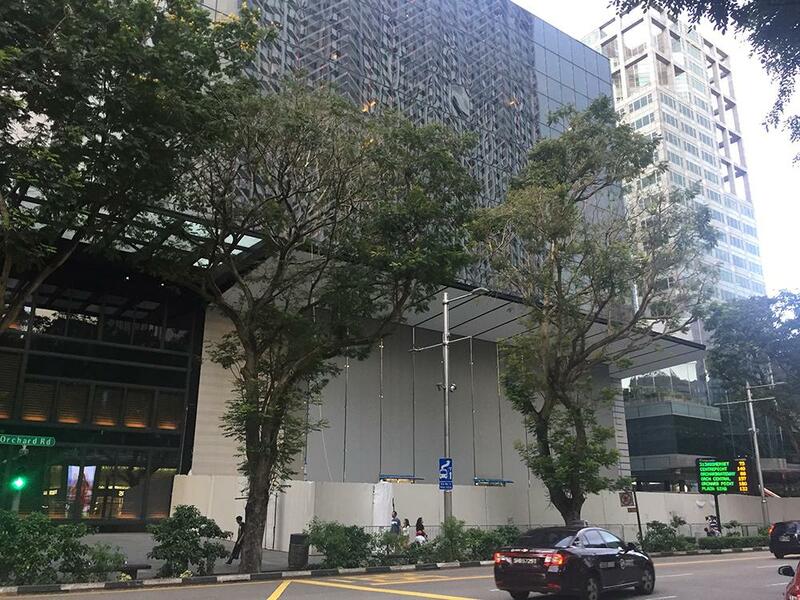 This area of Singapore's formidable retail pantheon is definitely due for an injection of new blood and excitement, so it will be very welcomed. The dramatic/sharp overhang above entrance is perfectly in keeping with Apple retail stores' design around the world.